Oxford, UK, June 25, 2015 --- A smarter approach to applying advanced thin-film coatings to high value engineering products is being developed by Teer Coatings, Cobham Technical Services and The Open University. The collaborative project, which is co-funded by a £577,000 award from Innovate UK - the UK's Innovation Agency - will develop a groundbreaking practical tool for simulating sputter coating, to deliver a right-first-time process. The development project brings together experts on non-equilibrium plasma physics, computer-aided engineering software for modelling and simulating electromagnetic and related physics effects, and the design and use of the physical vapour deposition (PVD) magnetron sputtering tools to apply coatings that are important in a wide range of high value manufacturing applications. The key aim is to develop a practical software-guided approach to thin-film coating that is both accurate and fast. This tool will provide an intelligent and automated analysis of a proposed deposition process that will help users optimise the performance of a coating tool and the characteristics of a surface coating applied to workpieces. Such an approach will potentially eliminate the need for prototyping and trials, and will be relevant to intelligent and optimised surface coatings, enabling performance advances in a wide range of engineering sectors. The collaborative development project will run until September 2016. A team from The Open University will advise on the physics of the magnetically-confined plasmas that are generated in magnetron tools to vapourise coating materials for deposition onto the workpieces, and provide accurate feedback on the actual performance of the new software-guided process. 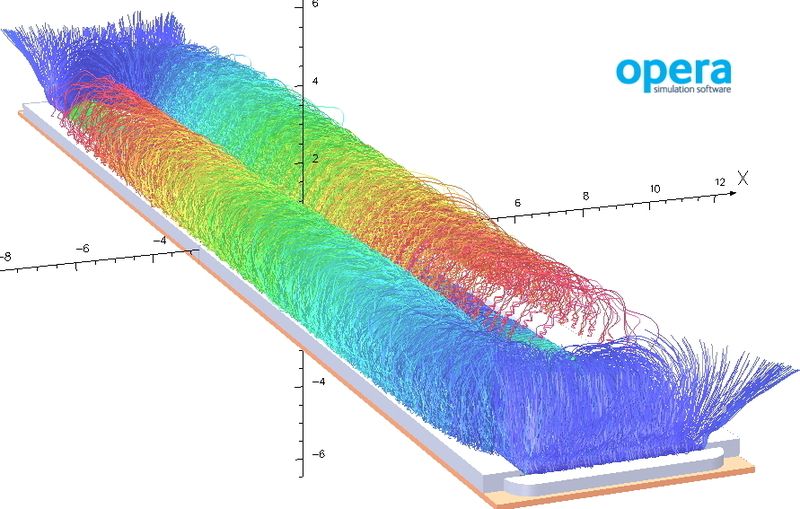 Cobham Technical Services - developer of the Opera finite-element analysis simulation tool-chain for modelling, simulating, analyzing and auto-optimising electromagnetic effects - will develop application-specific solvers for its software. These will provide the means for users to model the entire process, from the plasma field, via ion bombardment of the 'target' coating material, to subsequent deposition. The software will also take into account the properties of the vacuum processing chamber, including the magnetic fields and substrate movement. The project is led by Teer Coatings, part of the Miba Coating Group. 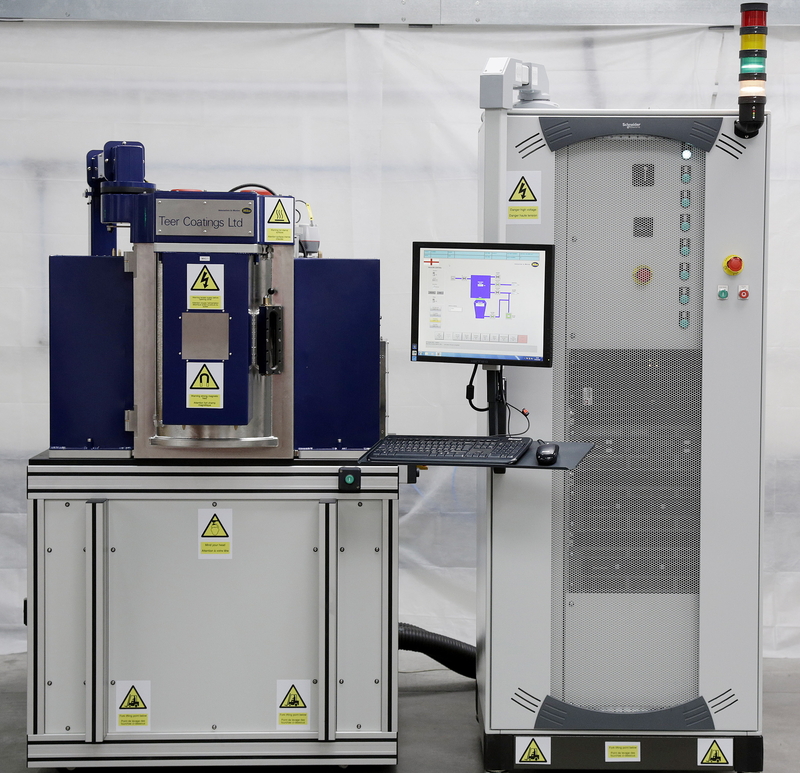 As this company manufactures thin-film deposition tools and provides specialist coating services, it is ideally placed to evaluate the new software-guided approach by using it in conjunction with its magnetron tools, and validating its efficiency on a very broad variety of workpieces - from metal cutting tools to medical implants. "Most magnetron sputtering tools today have been developed by drawing on the practical experience of designers," says Dr Kevin Cooke of Teer Coatings. "The same is true for magnetron coating services - machine operators see a broad range of workpieces and know from experience the best way to position them, to move them in the chamber during coating etc., to achieve good results. Prototyping cycles and trials are invariably employed to test an approach before getting to the finished result. The intelligent software-guided simulation capability targeted by this project will help sputtering tool developers and users to eliminate prototyping and deliver smart, right-first-time coating solutions." The software-guided approach also offers the opportunity to dramatically reduce the costs associated with sputtering target materials. It is common for less than half of each sputtering target to be depleted before replacement, because of uneven wear. Increasing target utilisation by just a few percent has the potential to save the coating industry hundreds of millions of dollars annually in material costs. Many advanced engineering components such as bearings, turbine blades, valve parts and electronic circuits are given special surface treatments to improve performance, in terms of characteristics such as resistance to wear, lubrication, biocompatibility and electronic properties. These surface coatings are often extremely thin, and can be less than 1/100th of the diameter of a human hair, but often need to survive and function in harsh environments, such as in a turbo-charger or at the tip of a cutting tool. Eroded sputter target simulated using Opera software for designing magnetron sputter coaters. Simulation of plasma electrons above a sputter target. 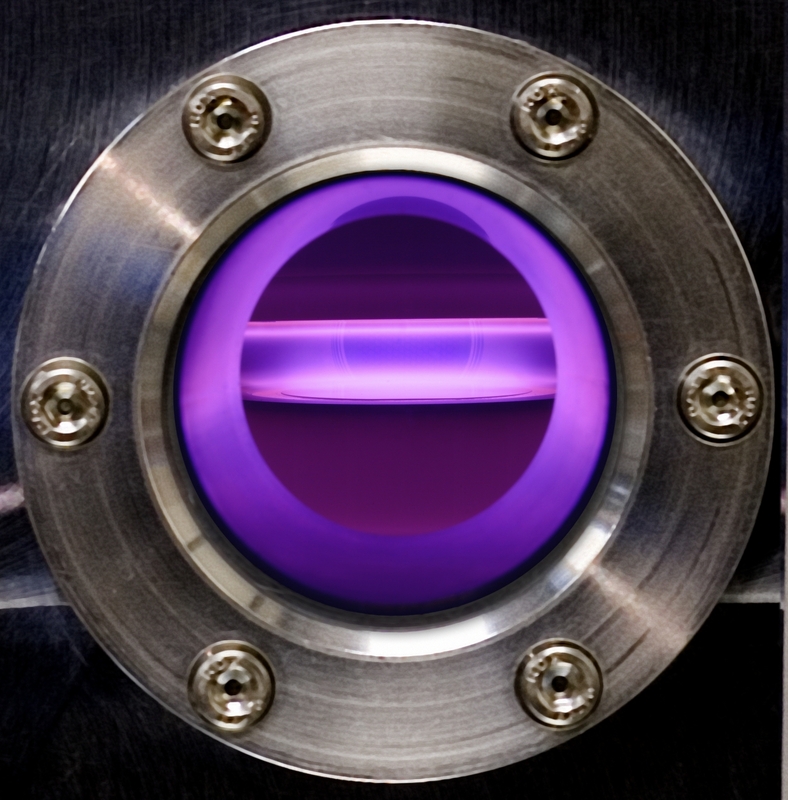 Plasma field inside a vacuum processing chamber. 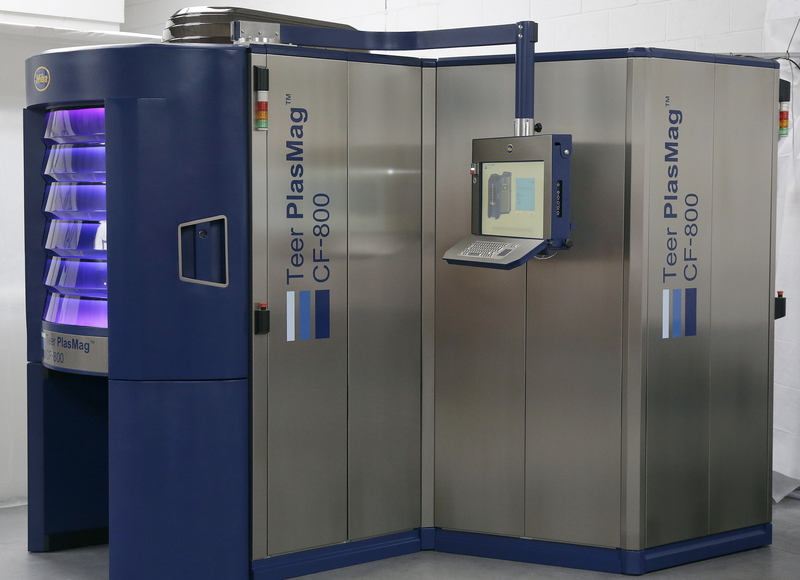 A thin-film deposition machine from Teer Coatings.